In the tradition of pensive reflection of the past year, I present to you the blog’s “2011 in Review”. Below is the first of four installments rounding up my favorite stories each month. Hopefully this will keep you entertained over the long weekend. You can also read my review for 2010 here. The pace of old housing demolition in Shanghai has slowed a little in comparison to the frenzied activity prior to the Shanghai World Expo in 2010. This might be related to the Chinese government’s strict property tightening measures to scale back the real estate bubble, and the general malaise of the global financial crisis. On a positive note, on a recent visit to a half-flattened longtang, residents tell me they are now protected by laws to prevent forcible removal from their properties until all negotiations are complete. While not universally enforced, I am hearted by the small development. 2011 for me has been a significant amount of traveling to new cities and countries. In addition to revisiting Berlin, London and of course, home in Singapore, I visited for the first time Dubai, Seoul (and a very exciting jaunt to the North Korea border! ), Kyrgyzstan, Kazakhstan and Vietnam. It was a year of new boundaries and new friends and I expect 2012 to be more of the same. I want to thank regular readers, faithful commentators (you know who you are!) and occassional passers-by for visiting the blog. I occupy a small sliver of space in the vast Internet but work hard to piece together the stories and photos for our mutual pleasure. As always, I welcome your suggestions on how to improve my photography and writing. My best wishes of good health and happiness to you for the New Year! I leave you with one of my favorite quotes, something I remind myself daily and find very apt for fresh starts in general. January: Meeting Mr Cai (photo above) in Shanghai’s suburbs, whom I have designated “The Happiest Man in Shanghai”, was a fortuitous affair. I am reminded of his cheery optimisim at his old age which warms my heart each time I have a nasty encounter in Shanghai. February: I was very glad to have documented the beautiful mosaic-tiled public service posters in Ruihua Lane (瑞华坊) which preached good manners and respect amongst the neighborhood’s residents. Unfortunately, the lane has emptied out in anticipation of razing. On another note, my trip to the very sunny and excessively opulant Dubai. 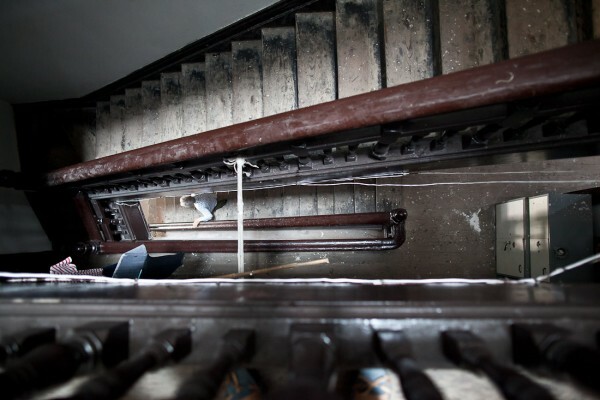 March: One of my favorite photo essays on discovering life and color in dying neighborhoods undergoing demolishment. This one was in northern Jingan district, which I had rarely visited. 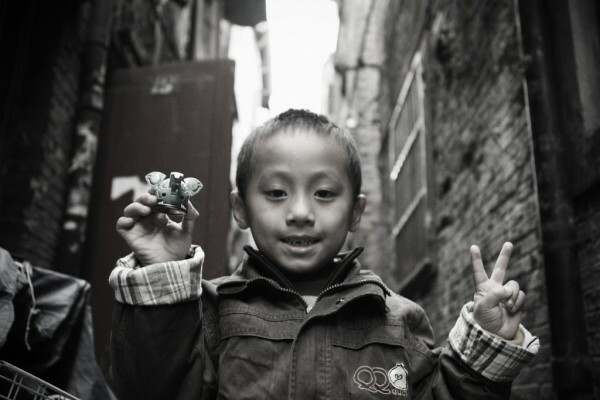 Beauty often lies in character, and Shanghai’s old lanes are filled with them. Everytime you pass by an unassuming lane, make it a point to poke your head in. A special mention of my contribution as co-author (along with Old Shanghai establishments including Tess Johnston) of the book “Still More Shanghai Walks” which we presented at the Shanghai Literary Festival and our booklaunch at the beautiful and quaint Old China Hand Cafe, where it is still available. 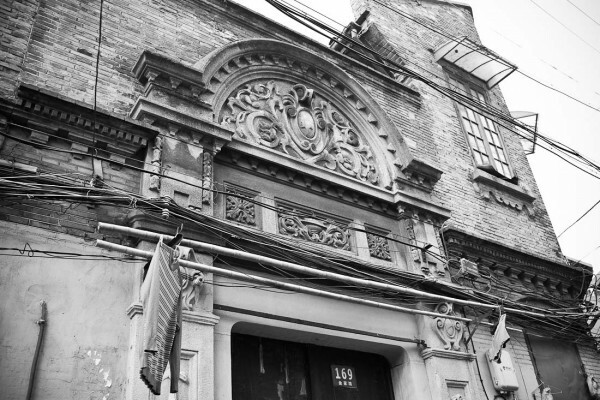 I covered the former Jewish Ghetto and street markets of Tilanqiao. Thank you for the hard work indeed, very generous of you; since I first stumbled on your blog two years ago (or so), it’s always been a pleasure reading the account of your adventures. Plus, a valuable guidance while I was on the look out for walks in the old shanghai. I turned my copy of “still more shanghai walks” to a newly arrived stroll-lover, with the promise that he would do the same when leaving the country. Who knows how far the ripple will go? Looking forward to reading more of your stories. It softens this city, which at times, can be a little too tough. Happy new year, Alex! Did I respond to this specific comment? Your frequent comments have been greatly appreciated though I am sometimes slow to respond. Am glad you enjoyed “Still more Shanghai Walks”, but sometimes, the best walks are unplanned.